Where did Dumbledore live while working at Hogwarts? To me it seems like he would either live in the castle or somewhere near. I can't find any proof of either of those so any help would be appreciated. They looked around, as if hoping to see a sign pointing them in the right direction. They had never been told where Dumbledore lived, nor did they know anyone who had been sent to see him. Harry asks the other two where Dumbledore's office is, and the narrator responds by telling us that they had never been told where Dumbledore lives. This would seem to imply that Dumbledore's office and "where Dumbledore lives" are synonymous – i.e. Dumbledore lives in his office. He knew now where he was being taken. This must be where Dumbledore lived. His office had been almost completely stripped. Two large trunks stood open on the floor. Robes, jade- green, lilac, midnight-blue, had been hastily folded into one of them; books were jumbled untidily into the other. The photographs that had covered the walls were now crammed into boxes on the desk. In the days when Gilderoy Lockhart had lived here it had been plastered in beaming portraits of its owner. Harry had been slightly worried that Slughorn might be at breakfast, but he answered his office door at the first knock, wearing a green velvet dressing gown and matching nightcap and looking rather bleary-eyed. “D’you think it’s too early to go and see Professor Moody?” Hermione said as they went down the spiral staircase. He was wearing a long gray nightshirt and he looked livid. This could indicate that Snape's sleeping quarters were not in his office. It could be that the teachers' sleeping quarters are in other rooms off their offices, such that we wouldn't see their beds and the like in the office proper, and such that Snape would have had to pass his office to get from his sleeping room to Harry's staircase. Nearly Headless Nick was gliding towards Harry, his head wobbling as usual upon his ruff. “Where is he?” said Harry, his heart leaping. It sounds like "he had business to attend to before turning in" is the explanation for why Dumbledore was going to his office so late at night. If Dumbledore's living quarters were actually in his office then of course he would be going to his office, even if he didn't have business to attend to, because that's where he lived! Moreover, the fact that Harry didn't think that the obvious place for Dumbledore to be was his office might also lead us to believe that Dumbledore had living quarters elsewhere. However, one could perhaps argue that the Bloody Baron and Nearly Headless Nick were simply giving over factual information and were not trying to explain why Dumbledore was in his office. One could also perhaps argue that Harry was simply foolish for not thinking that Dumbledore was in his office, or that he may have thought that Dumbledore had business to attend to elsewhere before turning in. 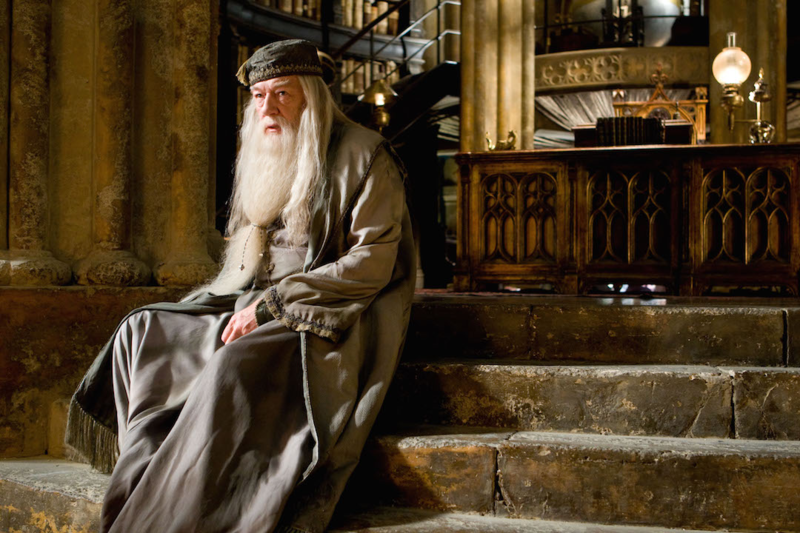 Dumbledore would have lived at Hogwarts during the school year. 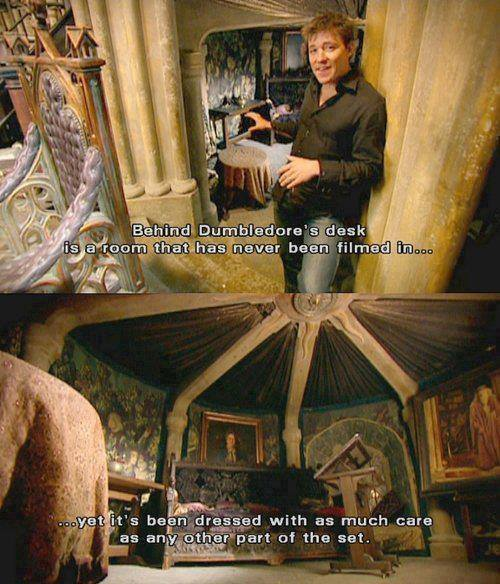 The movie set had built and placed Dumbledore’s bedroom behind his office desk, behind his chair. The green velvet near the top of his bedroom is visible in this picture of him in his office. This seems consistent with the information in the books, as well. The teachers all seem to live in Hogwarts during the school year. Dumbledore himself is seen in his sleeping wear when he helps move Colin Creevey after he’s Petrified, so he’d been prepared for bed when he realized there was an emergency and he was needed to help. The emergency wasn’t the reason he was at Hogwarts, though. He’d actually just been on his way downstairs for hot chocolate and found out about Colin’s being Petrified by chance, which seems to indicate he was living in Hogwarts. He was trying to get a snack in the middle of the night, which he wouldn’t be doing if he’d gone somewhere else to sleep and only returned in emergencies when he’d be needed. If he lived somewhere else, then he’d get himself late-night drinks there as well rather than returning to Hogwarts just to get himself hot chocolate. This shows that Dumbledore’s living quarters would be upstairs from the kitchen, since he was going downstairs for his hot chocolate, which presumably he’d be getting from the Hogwarts kitchens. Where exactly his bedroom is, though, isn’t really clear, since Hogwarts is large and many things are above the kitchens. 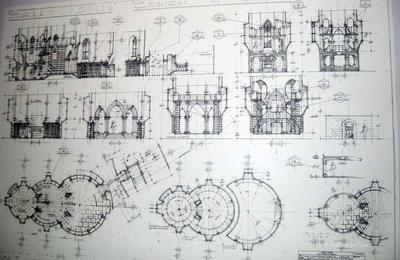 A possibility is that it could be in the same tower as his office. Though the staff does seem to all live in Hogwarts during the school year, there’s not much detail given on where exactly their bedrooms are in the castle, since Harry doesn’t see where his teachers sleep. However, a JKR Pottermore writing says McGonagall lived in Hogwarts itself as well for some of the time she worked there, and further goes on to describe her quarters a bit more. Minerva could not bear to remain alone in their cottage, but packed her things after Elphinstone’s funeral and returned to her sparse stone-floored bedroom in Hogwarts Castle, accessible through a concealed door in the wall of her first-floor study. Not the answer you're looking for? Browse other questions tagged harry-potter albus-dumbledore or ask your own question. How did Molly Weasley make sauce out of nothing if Gamp's Law states that this is impossible? Where do teachers sleep at Hogwarts? Did Dumbledore ever trust Hagrid with his life? Why must “either must die at the hand of the other for neither can live while the other survives”? Does the Taboo jinx work while in Hogsmeade and/or Hogwarts? Where did Dumbledore go during Order of the Phoenix? Are there any Hogwarts students who live in Hogsmeade during the summer? Is the Forbidden Forest surrounded by a wall?